This is the third installment on Facebook. In the first installment, I gave an overview of Facebook advertising and the basic difference between selling products versus services. In the second installment I talked about positioning your produce or service on Facebook. So now you've got a landing page for when someone clicks. And you've figured out how to position your product or service so it works well with the mindset of Facebook browsers. All good. Now we get to the juicy good stuff. How do you connect with your target market on Facebook? How do you find them so you can put your advertising in front of their eyeballs? Just as with any marketing, you have to figure out what you're going to sell and who you're going to sell it to. For example, are you looking for the basic Zap Data search of 1-25 desktops within 30 miles of your zip code? Or do you want to dig a little deeper? As with all advertising, you need to figure out who your market is. The more focused advertising is, the better it works. You "can" advertise to the whole world. But the whole world doesn't care and there's no way to isolate your message. So you need to pick some ideal client and advertise to that person. When you pick a specific audience, you can send a targeted message. And just because you target lawyers (for example) doesn't prevent you from also having a campaign for accountants. The cool thing about Facebook targeting is that your target audience will see you ad again and again until you wear them down and they click. You only pay for clicks, same as Google, but with Google your ad is only seen when someone goes looking for your keyword. With Facebook, people see your ad based on their interests, behavior, age, and connections. In other words, Facebook advertising is geared toward who people are. You can do the standard demographics, but you can also look at the music they listen to, their hobbies, and all kinds of cool things. If you're at a specific age, you may have seen ads that say (for example) "Most 40 year olds don't have enough insurance." Only 40 years olds see that ad. You could literally create an ad for people aged 41, 42, 43, etc. It is kind of attention grabbing when an ad calls out your specific age. There's even an option to target people on their birthday. Figure out how to tie that in to your ad. SO the bottom line is to try to figure out what you ideal client looks like on Facebook. How do you isolate them? How do you get started with that? Well, one easy thing you can do is to befriend your current clients and see how they define themselves. Then befriend key prospects and review their profiles. Where do you see some common attributes you can target? If you haven't even looked at the Facebook advertising tool, just scroll all the way down to the bottom of the page and click on advertising. Tip toe around, create an ad campaign, and play with it. You can set a very reasonable budget and see how it works. You'll be able to spend as much time as you need playing with the targeting tool. Note: If your business has a Facebook Page (formerly Fan Page), you can also advertise specifically to people who follow your Facebook Page. This is called connection targeting. You can target anyone who is a fan of your page, a member of your Group, RSVP’d to your Event, or authorized your Application. You can also exclude these people - so your ad won't be seen by people who are already within your sphere of influence. That will save you money. You have to figure out whether your fan page is primarily watched by people who are prospects or clients. Then either target or exclude. As for total "strangers" there's another approach. You ad will have to target people and entice them to click. The coolest thing about Facebook ads is that you automatically get to use a graphic. There's a challenge to that, but also a great deal of potential. If you can put up something appealling, then have Facebook present that to your target audience again and again, Resistance is Futile. Eventually they're going to click. I recommend you focus on the Interests that you are using to target in the first place. If you're looking at doctors who have expressed an interest in Electronic Medical Records, then key in on that. They have essentially self-selected your ad. You might as well complete the connection! Just remember my comment from the earlier posts on this topic: Your landing page is critical to your success. Once the visitor decides to click on your advertisement, Facebook's job is done. After that you need to make sure the landing page does it's job and delivers a form, a video request, or whatever you've defined as the step in your online sales process. Well, it's here at last. The long-awaited cloud offering from Zenith Infotech is REAL. Beginning Monday, July 26th, Zenith Partners will be able to order the Smart Style Computing systems! This news was announced live on the Cloud Services Roundtable podcast last week by Ron Hogue and Maurice Saluan. Ron is a Technical Trainer and Maurice is the VP of Sales. We had a great chat - in fact the call went over by 1/4 hour. You can listen to the details at http://www.cloudservicesroundtable.com/. If you are not currently a Zenith partner, you can sign up by sending an email to mailto:partners@zenithinfotech.com?subject=Karl said I should look into being a partner. So what happens Monday is that you can place orders. They're not shipping same-day. There is already a backlog of orders. So there will be a small delay in receiving units. Alright Then: What is Smart-Style Computing? Smart Style systems consist of Nodes that can be CPU/RAM Nodes, or Storage Nodes, or Combination Nodes. If you're in the SMB space,you will probably be worked almost exclusively with Combo Nodes. As a Zenith partner, you can order an Evaluation Kit, which includes three combo nodes. It is designed to house about two virtual servers and ten workstations. Your mileage may vary, of course. I can't discuss pricing on a public blog, but if you listen to the podcast you'll find out how to download the pricing info. And of course you can become a Zenith Partner (free) and just view the pricing online. What we can say is that you'll pay less then the cost of a small server to get your hands on the Eval Kit. You will be able to use it for 90 days. If you decide to keep it, your deposit is used to make payments toward the unit itself and the monthly fees for virtual machines. You might get a an entire year's service out of that. And if you deploy it at a client site . . . so much the better! So what exactly do you do with these "nodes?" Well, you build virtual machines. They don't have to be Windows machines, although the system was obviously tested extensively with Windows. The Smart Style system is designed to be an on-premise cloud. In other words, it lives at the client office and houses all of their I.T. It is totally modular and redundant. So you might start by virtualizing SBS. All the machines in the office can connect to it just as if the SBS box were physical. Then you might gradually start replacing desktop PCs with virtual machines on the Smart Style Server. The big question that is always asked about such systems is capacity. How many servers and workstations can I virtualize on this system? Remember that the system is totally expandable, But basically you need to calculate the capacity based on RAM. All of he nodes are optimized with a combination of RAM, CPU, and Storage so that chokepoints are minimized. Ron says to estimate the number of machines based on total RAM, but servers are a little different from workstations. So back to capacity . . . How do you figure out what you can do? Ron says that servers need the same RAM in this virtual system as they have in the physical world. So if you have an SBS2003 box with 4 GB RAM, you'll need 4 GB here. If you have an SBS2008 box with 8 GB RAM, you'll need 8 GB here. With workstations they've found that a lot less RAM is required to run in the Smart Style system than in the physical world. So a basic Windows 7 desktop might only need 1 GB RAM. Of course you can give it more until you feel comfortable. Obviously we can't go into every possible configuration, but you can see that this system will be very flexible. And don't forget that all of this comes with Zenith Management available. Because the machines don't know they're virtual, you could also use other RMM tools, such as Kaseya. Zenith puts no restrictions on this. Many people have been waiting a loooooooooooooong time for this release. And it is finally here. We will have some great stories to tell by the time SMB Nation rolls around. Want a quick and easy way to step into cloud computing? Give Zenith Smart Style a look-see. You may have seen the pictures Jerry and I posted from our visit to Intel last week. See Photos on Facebook. . . .And you may have seen some postings from Harry Brelsford on this as well. Intel is about to kick off a pilot program for their new Intel® Hybrid Cloud, a new and innovative subscription-based model enabling MSPs to offer locally hosted server software on a pay-as-you-go basis. This on-premise cloud offering allows you to deploy servers very quickly at a client's site -- and includes all the software and hardware for a flat monthly fee. The solution includes on-premise hardware and a management tool that allows you to quickly deploy servers, backup solutions, and more. And once deployed, all the licensing is managed in one place. We'll talk about the new Hybrid Cloud offering and how it fits into your solution stack. We'll also be taking some questions about marketing, placement, and the real nuts and bolts of this system. You'll have a chance to join the Early Access part of Intel's Hybrid Cloud pilot program. If you're attending the Microsoft Worldwide Partner Conference, also plan to attend the private reception hosted by the Intel® Hybrid Cloud Pilot Program team. For more info, see www.intel.com/go/HybridCloud. Christopher Graham is a Product Marketing Engineer with over 18 years of channel marketing experience. His current focus is managing the marketing of the Intel Hybrid Cloud Pilot Program in the US and Canada. Chris started his career at Intel ten years ago as a marketing programs manager for Server Products in the Reseller Products Division. Since then, he has held a variety of channel-focused roles including product marketing for desktop boards and server processors, form-factor evangelism, eco-system enabling, and demand creation for Desktop & Server platforms. Josh is responsible for enabling a new platform in the market, engaging the eco-system and driving Solution Architecture for End users. Josh has held many diverse positions at Intel after Joining 1995, he started his time in Intel Information Technology creating the Internet / intranet & external e-Commerce help desks establishing customer support & paving the support path for future e-Business applications. He also held positions in Intel's Sales & Marketing Group, as the daily operations manager for Intel e-Business Infrastructure & OEM business link. Josh also managed a product engineering team in IT Land Capital and Acquisitions, where he drove IT integration tools for the next generation services for Intel's acquisitions, new business ventures and capital investments. Josh was also the Architect / Community Manager for Intel® vPro™ Expert Center, in End User Platform Integration (EPI), Digital Enterprise Group (DEG). In this role, he was responsible for engaging the Intel® vPro™ community, to champion the products, technologies and the company, and to be a community advocate. Prior to joining End User Platform Integration group, Josh worked with Intel Manufacturing in defining architectural synergy between Intel Information Technology & the next generation factory process technology. Karl Palachuk is the CEO or KPEnterprises Business Consulting, Inc., a leading-edge managed service provider and cloud services provider in Sacramento, CA. 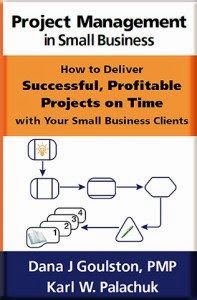 He is the author of seven books, host of the Cloud Services Roundtable seminars, and he is the author of the very popular Small Biz Thoughts blog. Intel is a world leader in computing innovation. The company designs and builds the essential technologies that serve as the foundation for the world's computing devices. Additional information about Intel is available at www.intel.com/pressroom and blogs.intel.com. Not connected to me on Facebook? 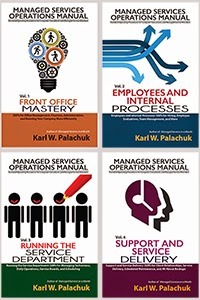 Visit www.facebook.com/karlpalachuk and connect with me.